The mixture is not classified as dangerous and in accordance with EC Directives does not require labeling. The shelf life is reduced to 3 months, if the flux is transferred from the specially against gas exchange sealed original bottle. Firescoff is a nano-particle ceramic catalyst which reduces the free energy (Gibbs energy) of the metal oxides, that destabilizes the oxidation. When the nano-particles have already reacted with oxygen (or carbon dioxide or carbon monoxide) to the metal surface before striking, they can not fully deploy the antioxidant effect. 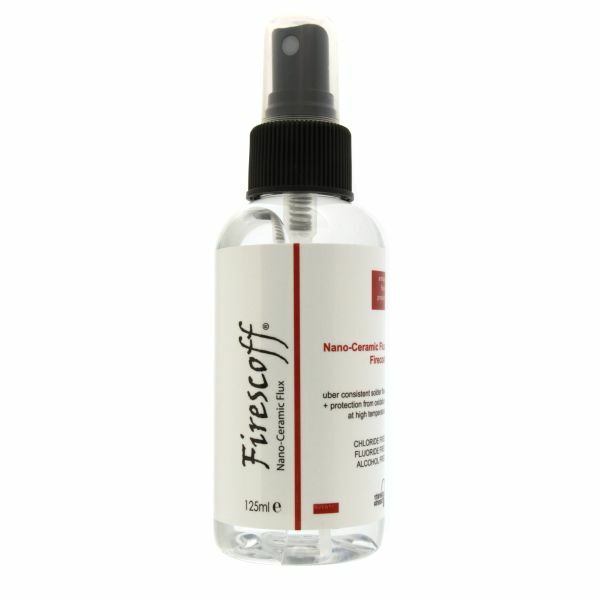 Firescoff Spray is sensitive to cold, UV radiation and overheating. Best store at room temperature in the original container; 20 ° C to 49 ° C are ideal. Crystal formation at the bottom of the bottle can clog the pump sprayer. In the water or in the ultrasonic crystallization this deposit can be dissolved again after 5-10 minutes.